The beginning of August in Iowa might as well be known as "sweet corn freezing" season, because by this time everyone has been eating corn on the cob for about a month, the sweet corn left in your patch is nearing being too done, and you don't want to pass up not being able to have sweet corn all year long. So you gather some friends, family, neighbors, etc. and you have your own little "Freezer Sweet Corn Party". The party starts in the sweet corn patch picking your ears of sweet corn. After you pick your sweet corn you then need everyone to help husk it. Age doesn't matter. You can find a job for everyone. Next, the party can move home so you can start cutting off all of the kernels of sweet corn. My preferred method for cutting the sweet corn kernels off the cob is the "bundt pan" method. Then you take all of your sweet corn kernels and mix them with sugar, salt and ice water. Then you place the mixture in freezer bags. After a days work of freezing sweet corn, a nap might be in need. So, there you have it - how to throw your own "Freezer Sweet Corn Party". We enjoy doing this every year and the work of one day pays off when you're able to enjoy sweet corn all year long. Recipes for freezing sweet corn can be more work than they need to be, but mine is simple and gets the job done. 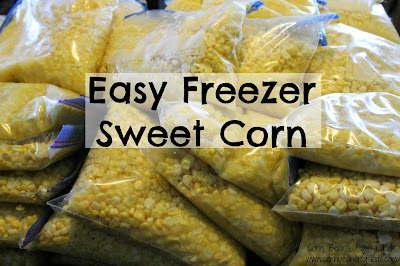 There is no need to cook the sweet corn - you'll do that when you get it out of the freezer in the winter to enjoy it. Also, add to your sweet corn as you prepare it from the freezer anyway you like - butter, pepper, seasonings, etc. Place all of the ingredients in a large bowl or pan. Mix and Freeze. It really is just that easy and simple. What do you like to freeze and can? Remember to Comment for a Cause and check out all of the other great recipes being shared this week in celebration of National Farmers Market Week! We always get bushels of corn during the summer and we have days like this also. It is hard work, but worth it. I feel like your husband and little one when the day of putting up corn is done! I LOVE this! It looks like you guys got a lot done and now your freezers have to be full! What a great way to enjoy summer all winter long! Luckily we have plenty of freezer space between our refrigerators and deep freeze because it was a lot! We split it between 3 families too which was good. Adorable helpers! I love that everyone gets in on the action. Nothing more satisfying than opening that bag in February, and being able to taste summer! Oh how I wish I had someplace to go pick wonderful corn! I'd be all over this if we did! 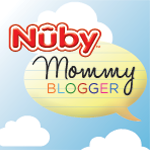 Great family activity! It is a great family activity. It's an annual tradition for our family. I wish corn was cheaper at the store! I'd stock the freezer with this recipe. I don't know where you live, but if you have any corn farmers in your area, you might ask them a price they'd let you pick how much you want from their field at. We don't raise sweet corn for sale but always plant a patch (and when I say a patch I'm saying probably an acres worth) with some free sweet corn seed we get from our field corn dealer. Anyways, we just plant the sweet corn for our own personal use and for family, friends and neighbors. We usually have a couple people that we'll let into the patch this time of year and just pick as much as they want for the price of a few dozen ears.